We build a sustainable society by improving people's lives and a local community. Bemberg has been a familiar material for traditional wear such as saris and dupattas in India for more than 40 years. 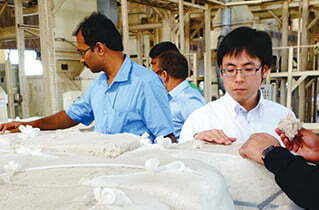 Throughout all stages in the value chain, from the procurement of the raw material, cotton linter, to the distribution of the final products, Asahi Kasei supports for local plants to improve production technology, training of young human resources, and creating job as well as securing stable incomes. These approaches were highly regarded, that led us to participate in the Business Call to Action (BCtA) run by the United Nations Development Programme (UNDP). Initiated in 2008, BCtA is led by governments and five development agencies including UNDP, aiming at helping private enterprises achieve their sustainable development goals through business activities. As of May 2016, 137 companies from around the world have been involved in BCtA. Free loan of an equipment of gathering cotton linters as well as technical support for the education of productivity improvement by our technicians are provided to some Indian companies. Asahi Kasei extensively engages in activities for training the next generation through technical guidance and educational support. We will remain actively committed to new projects in collaboration with educational institutions around the world. 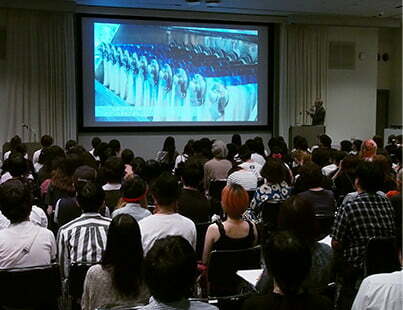 [Japan] Involved in the 11th Form Presentation organized by Textile Fashion Industry-Academic Committee. 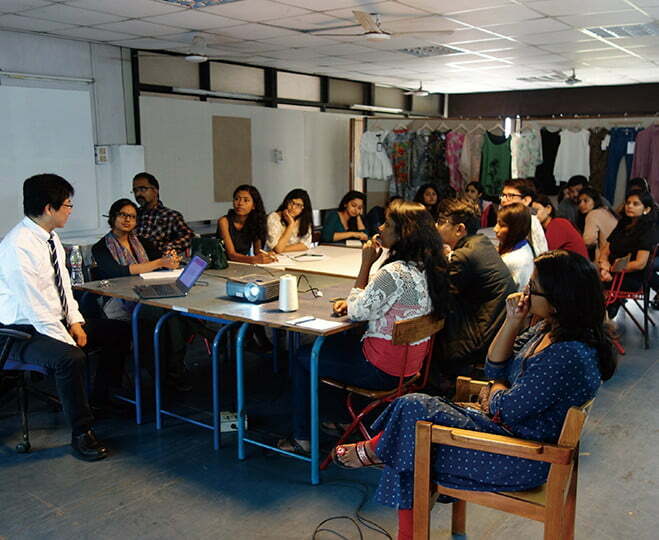 Participating the Form Presentation aimed at "Promotion of Interests & Developments for Textile Creation" by Textile Fashion Industry -Academic Committee, we invited students who study fashion with the theme "comfortable materials for the future" and commended some of their excellent presentations (2017). At two national universities, we give lectures, provide materials for on-campus fashion show, and also offer an internship in Japan where interns experience a wide range of practices, from the production of yarn to textiles. Since 2005, we have organized Bemberg workshops at fashion colleges and consistently provide students fabrics for their graduation fashion shows. We co-sponsor fashion shows and organize events for sparking interest in men's fashion. Through these activities, we aim to contribute to the continued growth of the apparel industry. For ten years, we organized the Bemberg collection during China Fashion Week, featuring works from emerging designers. In 2017, we launch a new collection of students' works, namely the Chinese Youth Award for Design Innovation. Three fashion students are chosen from China and are provided with fabric that uses Bemberg. Collections are presented during Fashion Week. We co-sponsor traditional wear brands to promote fashion industry in India. [Japan] Event for communicating the precious practices of manufacturing. In October 2016, we invited concerned persons from both domestic and Italian apparel and retail industries to an exhibition on the history of suits and hosted a panel discussion and seminar on men' s fashion. 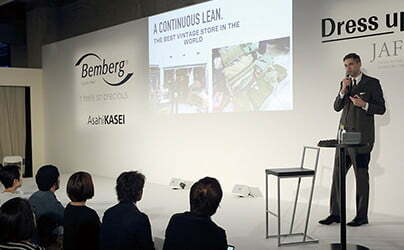 Through Bemberg, the event deepened the exchange between the Japanese and European apparel industries.